fundamental laws of artistic nature. What is your subjective definition of arts in music? Where do you find artistic content inside instrumental music? How does the process of arts creation work in your practice? How to imagine instrinsic economy in arts production? What kind of dissipation is absolutely necessary in the artistic production? 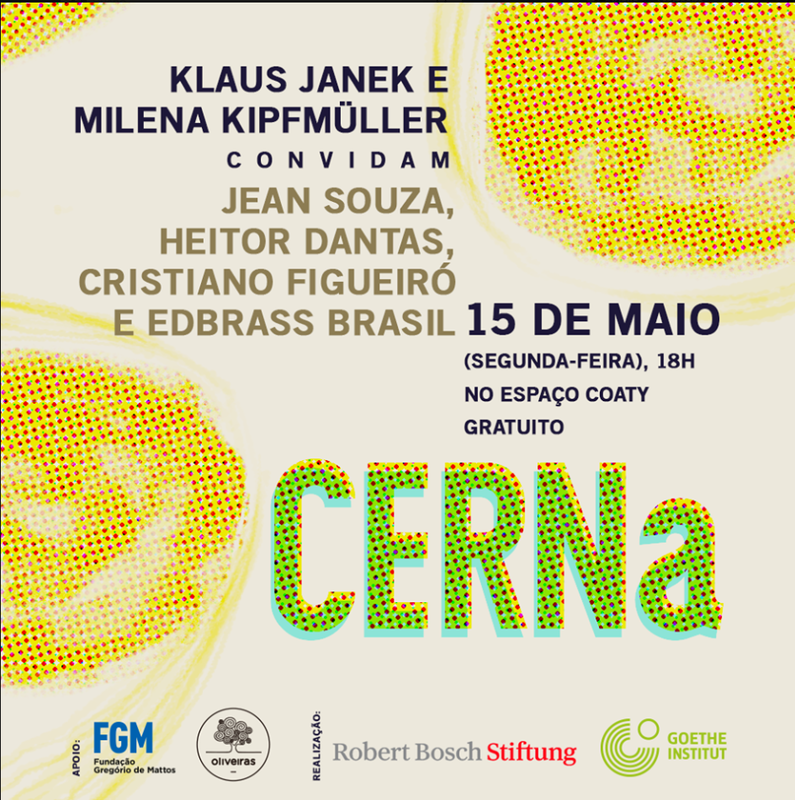 The excerpt of the answers became the “overture” of a concert event held by the invited artists: Jean Souza, Christian Figueró, Heitor Dantas, Edbrass Brazil, Milena Kipfmüller and Klaus Janek. The excerpts of the interview became muscal presence by being core sounding elements of Milenas instrument. The residency of Vila Sul, Goethe-Institut, Salvador was supported by Goethe Institut and Robert Bosch Stiftung. We are thankfiul to Franziska Werner, Sophiensaele for proposing us to the jury of the Vila Sul, and to all the amazing team of the Goethe-Institut Salvador, namely Manfred Stoffl, Wiebke Kannengießer, Maria Fielder, Felix Toro as well as our collegues residents Roy Dib and Kudzanai Chiurai.